AK-48 is a white strain and one of the strongest (high THC) early finishing strains available! Finishes as early as 48 days in perfect conditions and produces hard buds with an exceptional aroma. Good yielder. 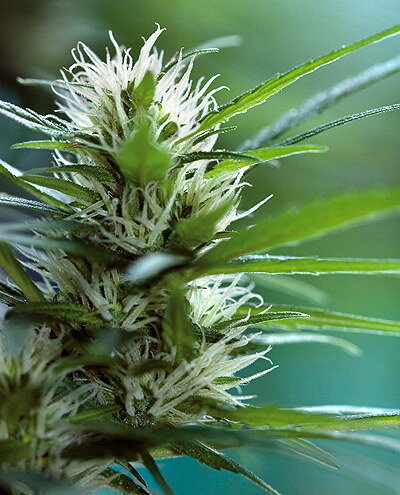 Arjan's Haze #1 was a first place winner of the 2004 High Times People Cannabis Cup. A must for all connoisseurs and breeders, and a very special plant that has many fine qualities. Massive buds and superior quality with spectacular THC concentration. An extraordinary champion for the most demanding growers. Extremely psychoactive high, strong and long lasting. Spicy, minty, sativa taste. This new Haze is an early finisher with great uniformity of growth, admirable yield, large-scale THC production, and a strong, cerebral high. Mold resistant strain! Strong high, with a clearside and a more introspective one. Very particular taste, sweet and complex. Very mild body effect, strong cerebral high. Very creative and social. Voted best strain at the Green House VIS Smoking Panel 2005. High yielder and high in THC. Ripe Sativa buds with heavy density and amazing resin! Very intense Sativa high, a real blast. A very psychedelic feeling. Very high THC. High THC and yield. Gained interest with commercial growers. Produces tight, slightly orange buds, fruity and pungent aroma, fruity and spicy taste and a trippy high with peaks of hallucinogenic rushes. Good for sea of green, plants can be grown close together. Mold resistant so also a hardy choice for outdoors. 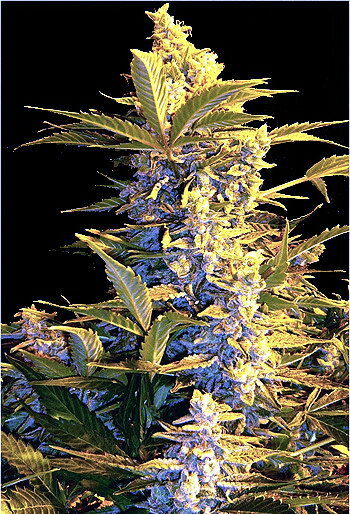 Blue Mystic is a white strain (high THC) especially selected for its blue hues. Grows very similar to Northern Lights, has all the desirable qualities but with an added colorful appearance and light berry after taste when smoked. Neutral smell so good choice for grow rooms. A good alternative to Northern Lights if you want to try something new. Blueberry is a great all rounder. High THC and high yielder. A dense and stout plant with red, purple and blue hues which cure to a lavendar blue. Very fruity aroma and blueberry taste. Long lasting, euphoric high of the highest quality. Long shelf life. Bubblegum is a short plant making it great for indoors with high levels of THC. Grows vigorously and is highly resinous and extra sweet. A definite must try as certain individuals actually display that distinct pink chewing gum scent and flavor! Crystal is a white strain (high THC) derived from White Widow crossed with Northern Lights. Crystal produces big sticky buds with an almost kerosene like aroma and a quick hitting high. Yields are outstanding and of high quality. Easier to manicure than White Widow. Euforia Feminized is a very fine Skunk selection, very commercial, very heavy bloom, bumper harvest, the famous Skunk "high", taste not so sweet as other Skunk selections. One of our favorites, also for greenhouse. Hash Plant is a small, bushy plant, and has unusually large, wide dark leaves. Branches very keenly enabling it to be very successful when flowering. Its calyx to leaf ratio is one of the largest for any indica strain. Has a sweet hashy flavour and aroma due to high resin content of the flowers. Very fast flowering plant producing copious resin. Hashberry develops tight and heavy head bud with dense buds located on firm side shoots. THC glands coat the bud leaves which will fill pollinator/bubble bags generously. Easy to manicure, and dried buds have great “bag appeal”. Refreshing fruity-floral scent during flowering period. After proper drying and maturation fragrance transforms into a delicious hashy-berry like aroma. Hashberry is very heat resistant and easy to grow.